Thanks to a Pam for the picture and information on these. 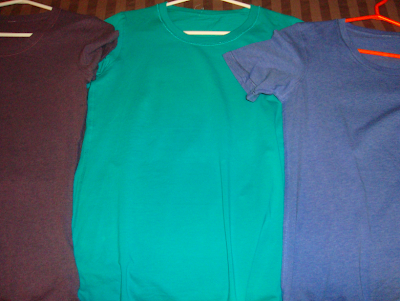 These are the newest Pima Tees called ‘Live Simply Crewneck Tee in Heathered Plum, Teal Zeal and Heathered Wish Blue. They are gorgeous and a hybrid of the 5yr Pimas and the Modern Crew Necks. 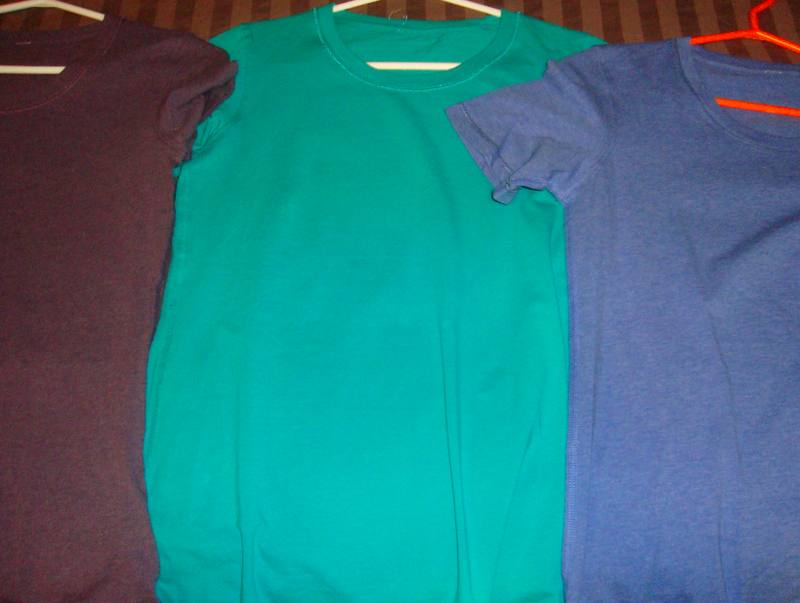 They have the same fit as the Pima Tees so you don’t have to size way down like most of us did with the first Moderns. I sized down in my Moderns from a size 10 to 6 and really the 4 is the one that looks the best on me now (tried one on the other day). They have the longer sleeves of the Moderns which is great because the Pimas were a little short for my preference. The logo is in the upper back and not the lower hip. Also, the weight of the fabric is in between the very thin Pima and the much thicker Modern. The offset double side seam panels have now been changed back to what the Pimas were before. I didn’t mind the panel on the sides (without the color block) but some of you hated that. I like it this way as well. And the colors..Heathered Wish and Plum are gorgeous! Teal Zeal is nice too but I’m such a sucker for Wish Blue. Thank you Lululemon for listening to feedback! "New and Improved Inspire Pullover"